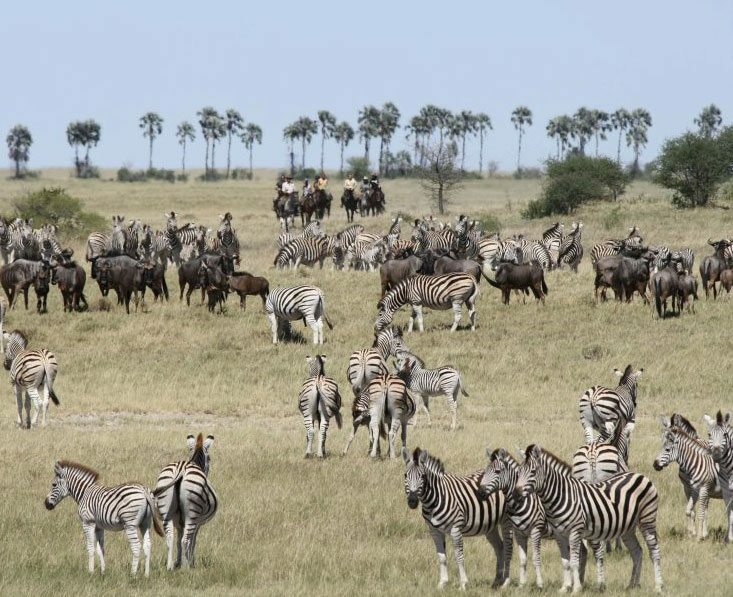 This fabulous riding safari is ideal for any riding enthusiast seeking to experience something special and unique. 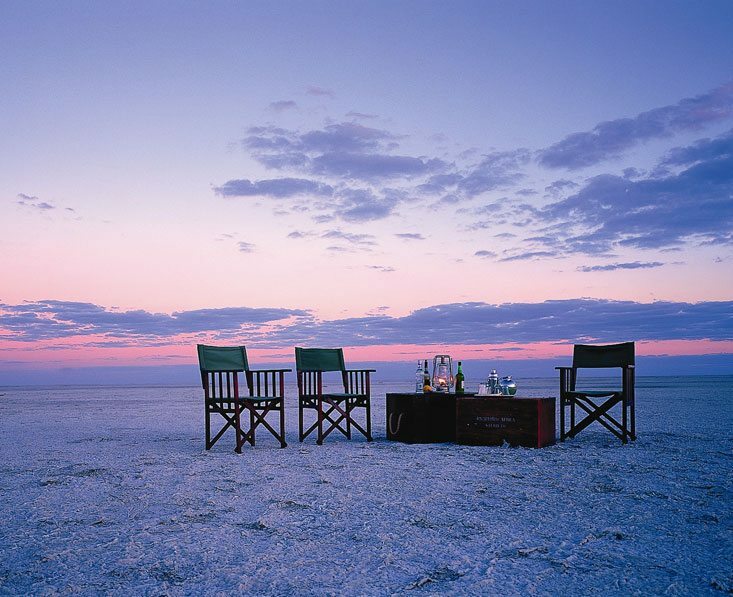 You’ll be awed by amazing sunsets, incredible scenery, memorable wildlife encounters and above all, superb riding. It’s an exhilarating, pulse-quickening adventure that you won’t want to end, and will leave you with a rich store of memories to cherish. Day 2 You’ll be up with the dawn for a light breakfast to head off on a long morning ride through the “land of a thousand islands”. The white encrusted pans between the islands provides excellent going for the horses. In the rainy season many of these areas will be full of water attracting several species of migratory water birds. Return to the camp for lunch and to sit out the hottest part of the day. After tea, you’ll set off by vehicle in search of some of the area’s unique wildlife including nocturnal species. 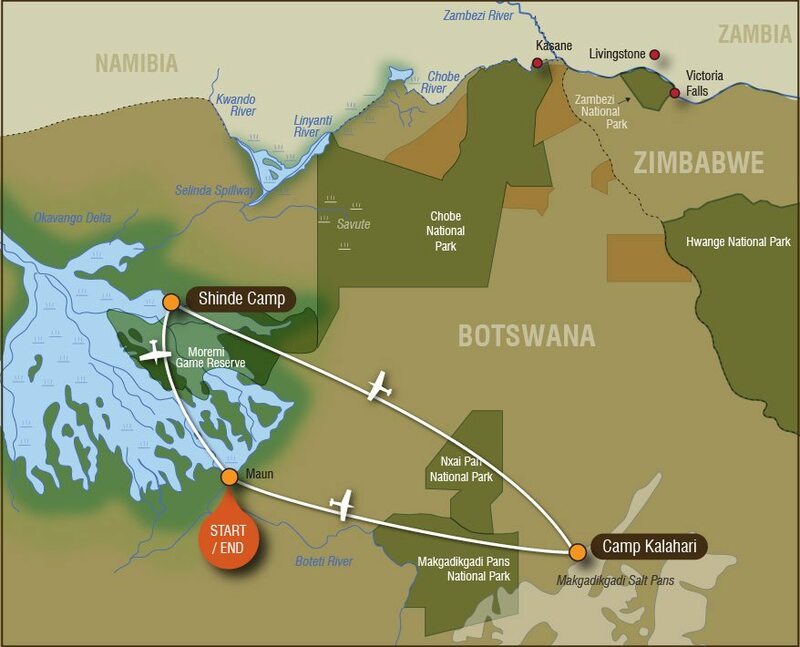 Today is a long ride eastwards to Xau Xai Fly Camp, so you’ll need an early start. You’ll be at the fly camp for 2 nights, travelling light with just your essentials. 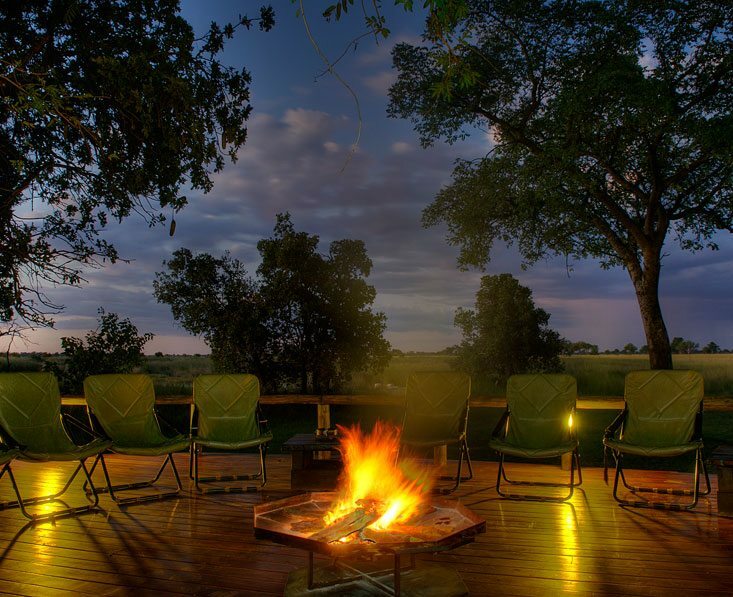 The route leads away from the edge of the pans and through shady mopane and acacia woodlands interspersed with short grasslands, where you can enjoy lovely long, relaxed canters. Take lunch beneath a grove of palm trees before continuing to your fly camp, where you’ll freshen up with a bucket shower and relax by the cosy mess tent. After dinner you’ll retire to your comfy dome tent for a good night’s sleep. 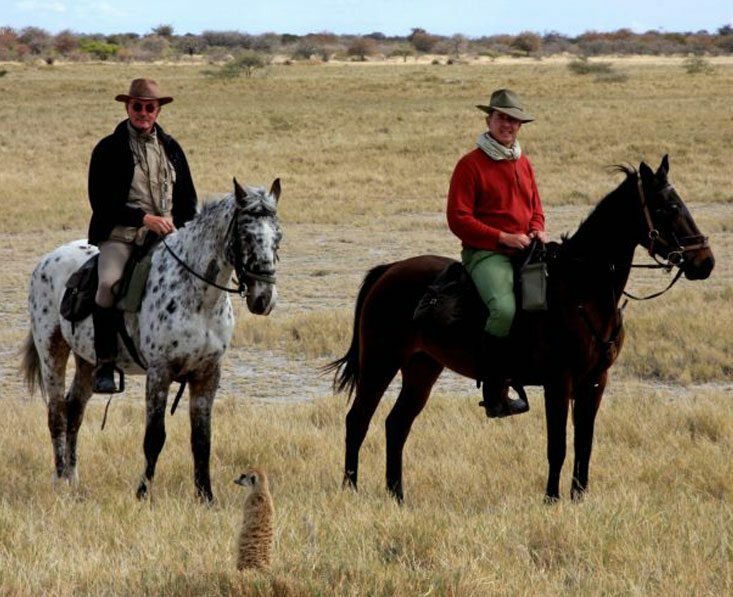 Day 4 You’ll awake to a steaming mug of coffee and a welcome breakfast, before heading off on your horse in search of the Kalahari’s inimitable meerkats. You’ll be able to watch them as they frolic and forage for food, quite unperturbed by your presence. 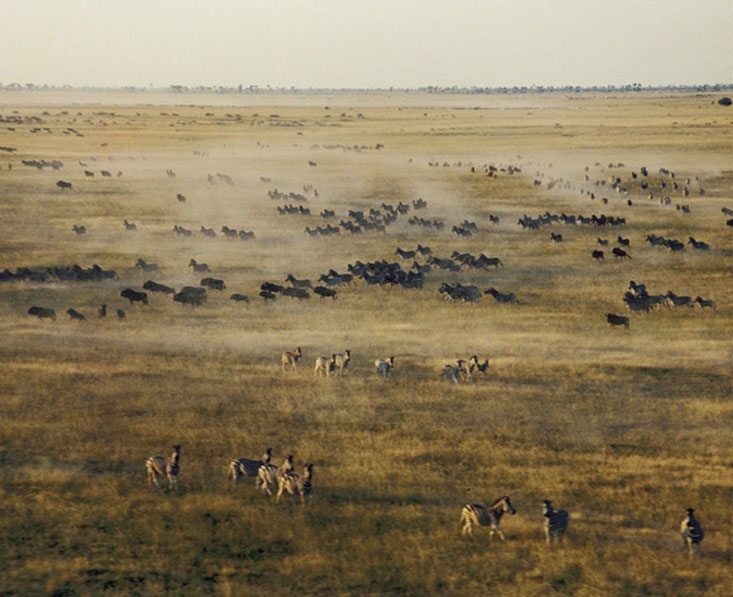 As the day warms up, you’ll make for hidden waterholes, whose fresh water draws herds of zebra and large numbers of ostriches. 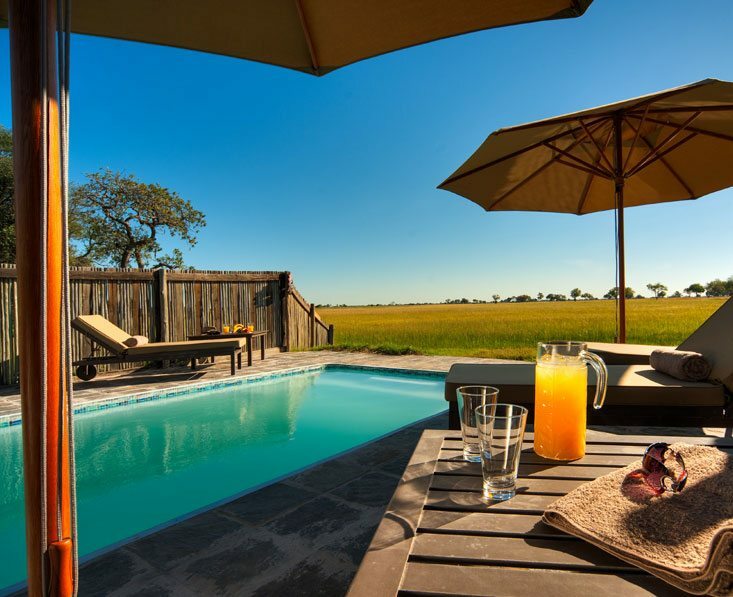 In the late afternoon take a walk to a nearby permanent waterhole for some bird watching, returning to the fly camp for al fresco dinner. Day 5 Wake for a light breakfast before mounting up and heading homewards at a good pace. You’ll be passing through varied terrains including woodlands, open grasslands and by the edge of the pans. 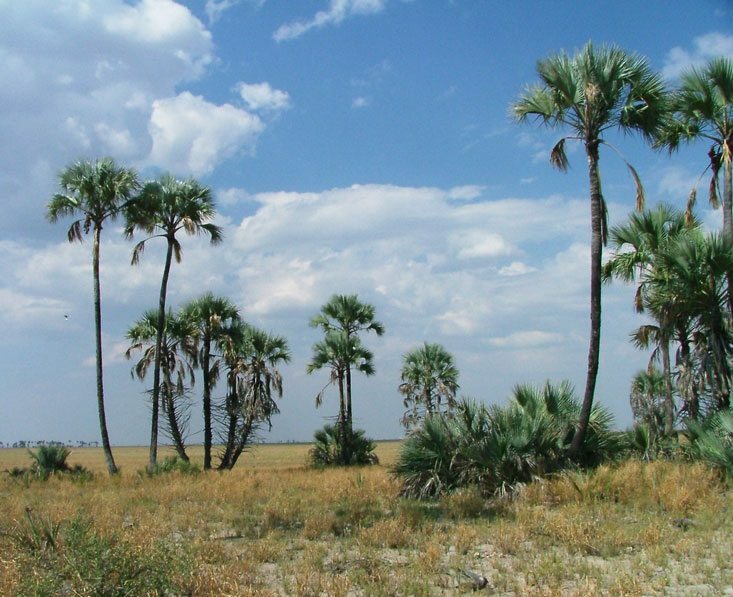 Along the way you’ll catch sight of the famous Chapman’s Baobab, Africa’s largest tree, and should see herds of wildebeest and zebra. You’ll be back at Camp Kalahari with time to wash the dust off with a refreshing shower, followed by a well-earned dinner. 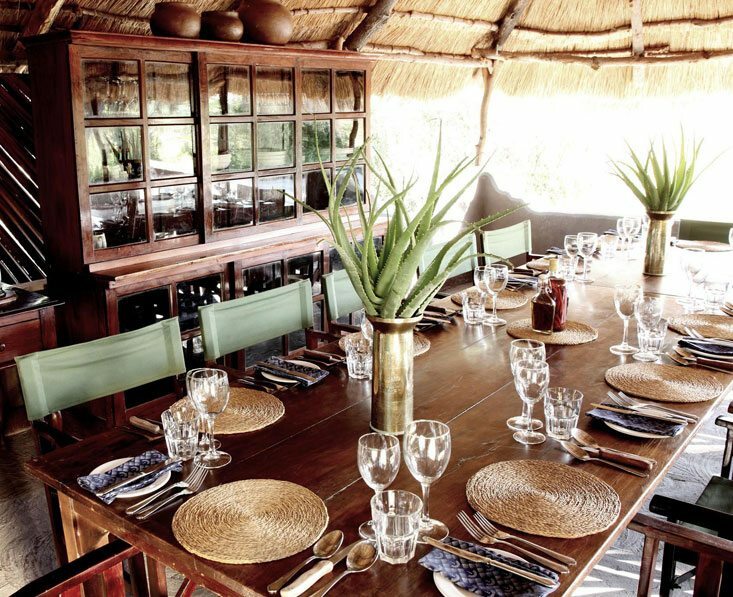 After breakfast you’ll board a light aircraft for the flight to the Okavango Delta, arriving at Shinde Camp (January and February departures use Kwara Camp in the delta) in time for lunch and a chance to rest, enjoying your new surroundings. 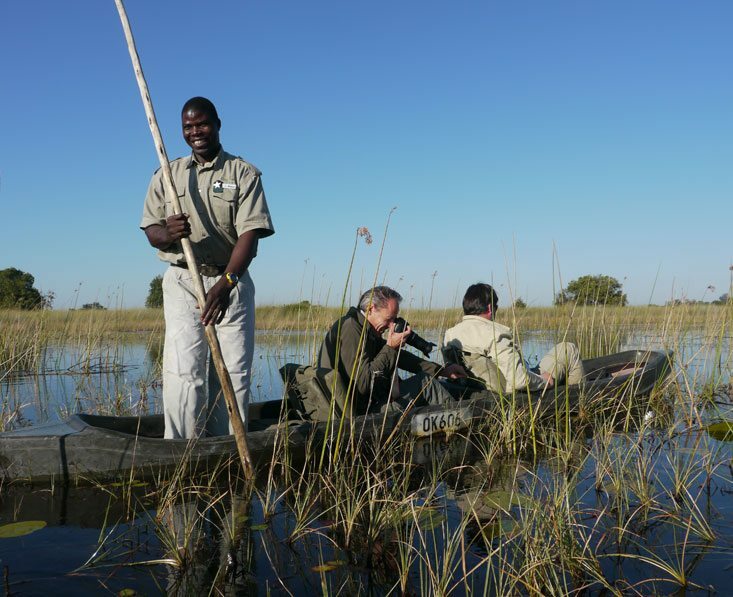 This afternoon you’ll have a choice of game viewing by land or water for your initial foray into the delta. Your guide will make sure you’re back in plenty of time to shower and change for dinner. You’ll spend the next 2 days immersed in the natural world of the delta. 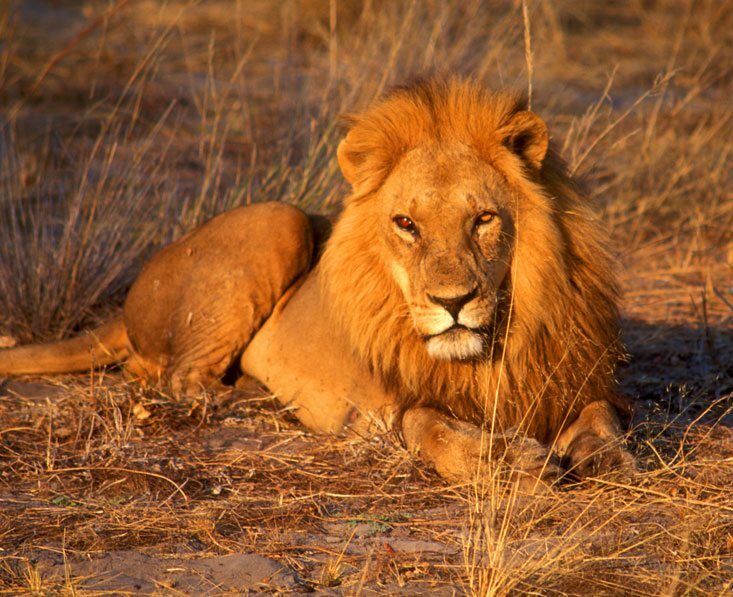 Activities at Shinde include game drives in open 4×4 safari vehicles offering some of the finest dry land game viewing in Botswana with regular sightings of lion and leopard. You’ll also have the chance to exploring the waterways in a mokoro or motor boat, take guided nature walks, night drives and a sunset cruise. It all combines to create a comprehensive safari. Day 9 After breakfast and a morning activity (time permitting) you will fly to Maun to connect to your onward flight arrangements. Please note – there may be slight variations to the above itinerary depending on local weather conditions. This trip starts and ends in Maun. From the UK, we recommend getting a flight with a combination of British Airways, Air Botswana and/or South African Airways via Johannesburg. A rough price guide for flights is £1100 per person. We can change this trip in any way, from duration to places and accommodation. This will of course affect the price. This holiday can also run in the reverse direction. Accommodation on a full board basis, local drinks, road and light aircraft transfers, riding activities and equipment, daily game activities, park and concession fees.